Injuries and accidents are bound to happen to you and those you love throughout your life, but when they occur as a result of someone else’s negligence, the circumstances change. It’s simply not right for you to be burdened with expensive medical bills because of someone’s mistake or recklessness. Attorney John Bovill III helps injured people collect compensation from those responsible for causing his clients’ unfortunate conditions and is happy to do the same for you. Michigan is one of few states that employs a “no-fault” insurance system, meaning your own insurance will compensate you for injuries whether you caused the accident or not. The only circumstances under which you can sue another party for their negligence is if the accident causes death or a catastrophic injury. Your required personal injury protection (PIP) insurance covers you and your whole family. In the most serious of accidents, life-altering injuries or death are possible tragic outcomes. 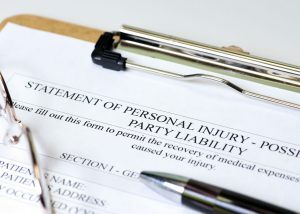 If you or one of your loved ones has been killed or permanently disfigured in an accident, we can help you pursue a lawsuit against the responsible party. Though a successful lawsuit cannot undo the pain you have experienced, it can lead to financial compensation for medical care, funeral costs, lost wages and planned future income, and pain and suffering. It can also bring you a sense of justice and closure following a tragedy. If the injuries sustained by you or your family members necessitate a lawsuit, you’ll need expert attorney representation to maximize your chances of winning your case. Attorney John Bovill III has nearly 30 years of experience litigating cases for his clients and is confident in his ability in the courtroom. He will fight tirelessly on your family’s behalf to secure the compensation you deserve and need in order to move forward. Attorney John Bovill III represents people in Saginaw, Bay, and Midland counties who have become injured in accidents. If you have been injured as a result of someone else’s negligence, contact our Saginaw office today at (989) 792-4648 to schedule a free consultation with a trusted and effective personal injury lawyer.